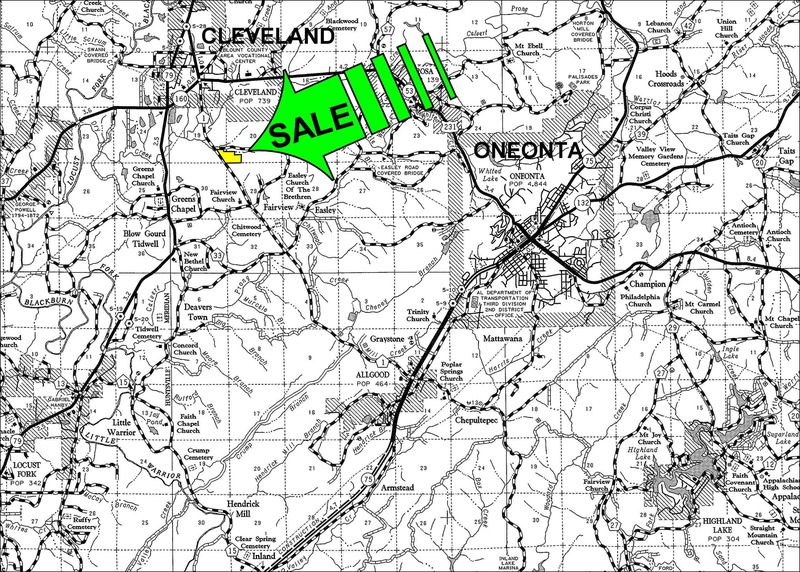 From I-20/59 Exit #134, take AL Hwy 75 north toward Oneonta for 25.9 miles. Take a left at Blount Co Road 1 and go 5.8 miles to Hazelrig Rd on the right. 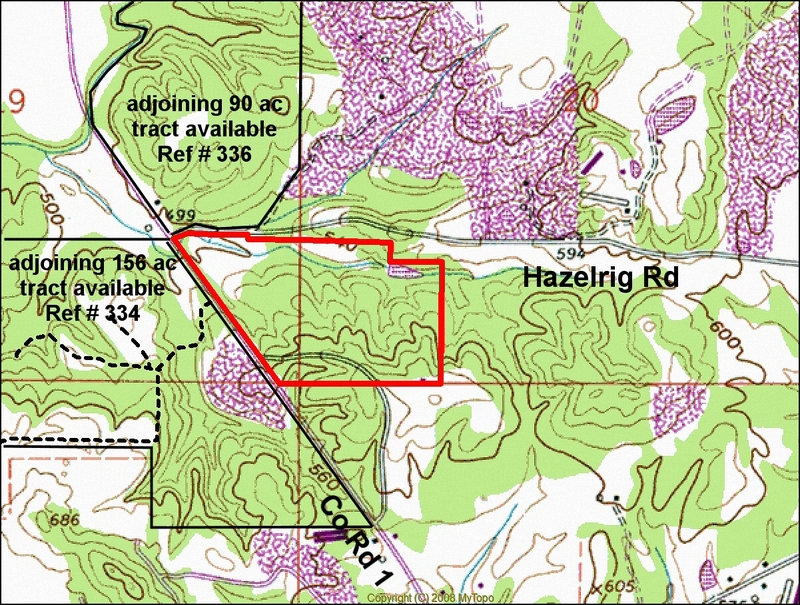 From here, property fronts on the south side of Hazelrig Rd for about 800’ and south from Hazelrig Road on the east side of Co. Rd. 1 for about 3/10 mile. Look for the Cyprus Partners sign. The intersection of Co. Rd 1 and Hazelrig Rd. is located at Lat: 33° 58’ 22.2”N. ; Lon: 86° 34’ 20.8” W.